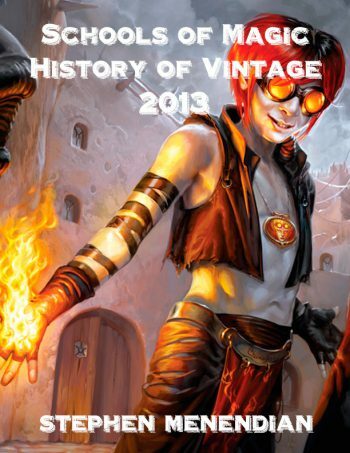 By the end of 2012, the Vintage format was surprisingly open and diverse. Any perceptible metagame trends were overwhelmed by normal oscillations. Return to Ravnica was a slow burn, gradually pushing Vintage decks in new directions, but tournament results in the final months of the year were all over the place. Control variants performed very well, but each Top 8 seemed to reflect a different view of the format. The year ahead would test the format in unexpected ways, while continuing the DCI’s episodic experiment in pruning the Vintage Restricted List and surprising selections in doing so, and exercising patience in adding anything to it. Learn about this and more in the latest installment of the History of Vintage. Over the previous few years, a pair of Nicks cultivated thriving Vintage communities in the New York, New Jersey, and Pennsylvania region by hosting and promoting local tournaments. Through hard work, networking, and outreach, Nick Detwiler partnered with a handful of stores and shops and built a regular Vintage circuit for New York and Long Island play at places like The Comic Book Depot and Mark’s Comics and Collectibles. After several years of building a grassroots network of local players, Nick proudly launched a much larger event that would draw players much further afield. With the end of the StarCityGames Power Nine circuit and the absence of recent Waterbury events, there was a hunger for larger North American Vintage events. In late February, Nick unveiled his tournament, scheduled for June 15th 2013, with the opening tagline “a Vintage tournament with the best prize support in the U.S.” Breaking the model of tournament cost structures, which sought to maximize attendance with the lowest possible entry fee, Nick introduced a revolutionary alternative: to defray the rising cost of awarding Power to the Top 8 finishers, Nick asked for a $100 entry fee. While such an entry fee shocked players accustomed to much lower tournament entry, there was a compelling logic behind it. Of all the costs associated with attending larger Magic tournaments, entry fee is usually a small part. Flight, fuel, food, and hotel generally comprise a much larger set of expenses to travel to larger regional events. Seen in that light, a $100 entry fee was hardly a deterrent for any serious Vintage player inclined to travel to compete in a larger event in the first place. Any marginally invested players lost as a result were offset by the intensity of the competition in such an event. People who attended this tournament were truly dedicated to Vintage and the format. For the inaugural event 78 players registered and showed up on a muggy summer morning at the Good Shepard Lutheran Church in Levittown, New York for 7 competitive rounds of Vintage, followed by a cut to Top 8. To provide a sense of security, Nick also pioneered a wristband bracelet that would be required for every registrant with a backpack or carrying tote to reduce the chance of theft on sight, which such a large event might attract. Security guards checked bracelets for entrance and egress. The metagame was as diverse as the various small and mid-sized tournaments might have suggested in the first half of the year, but with a clear bent towards variants and shells that were more popular in the Northeast. There were 28 blue Mana Drain decks (36% of the field), including a mix of Landstill, Oath, Gush decks, Bomberman, 18 Workshop deck (23% of the field), 17 Null Rod decks (22%), 9 Dredge decks (12%), and 6 (8%) Dark Ritual combo decks (a mix of Doomsday and Burning Oath). The resulting Top 8 was accordingly control heavy. It was, however, strategically diverse. Decks like Landstill and Bomberman were more heavily played in the Northeast than other regions, but one of the interesting decks to emerge in the Northeast was built around Restoration Angel and Cavern of Souls, known as “Blue Angels.” A pair of these decks made Top 8.